SAN FRANCISCO (AP) — A federal appeals court refused Thursday to reinstate President Donald Trump's ban on travelers from seven predominantly Muslim nations. U.S. District Judge James Robart in Seattle issued a temporary restraining order halting the ban last week after Washington state and Minnesota sued. The ban temporarily suspended the nation's refugee program and immigration from countries that have raised terrorism concerns. The states said Trump's travel ban harmed individuals, businesses and universities. 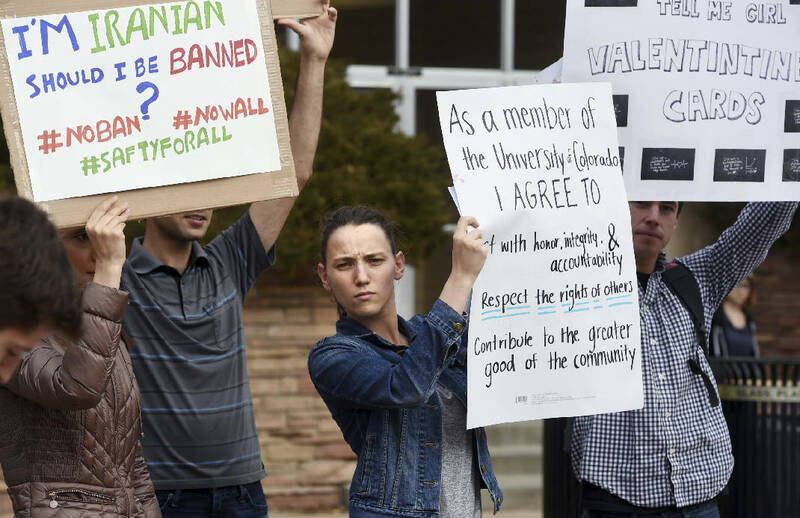 Citing Trump's campaign promise to stop Muslims from entering the U.S., they said the ban unconstitutionally blocked entry to people based on religion. The judges hammered away at the administration's claim that the ban was motivated by terrorism fears, but they also challenged the states' argument that it targeted Muslims. "I have trouble understanding why we're supposed to infer religious animus when, in fact, the vast majority of Muslims would not be affected," Judge Richard Clifton, a George W. Bush nominee, asked an attorney representing Washington state and Minnesota. Only 15 percent of the world's Muslims are affected by the executive order, the judge said, citing his own calculations. "Has the government pointed to any evidence connecting these countries to terrorism?" Judge Michelle T. Friedland, who was appointed by President Barack Obama, asked the Justice Department attorney. After that ruling, the State Department quickly said people from the seven countries — Iran, Iraq, Libya, Somalia, Sudan, Syria and Yemen — with valid visas could travel to the U.S. The decision led to tearful reunions at airports round the country. The Supreme Court has a vacancy, and there's no chance Trump's nominee, Neil Gorsuch, will be confirmed in time to take part in any consideration of the ban.